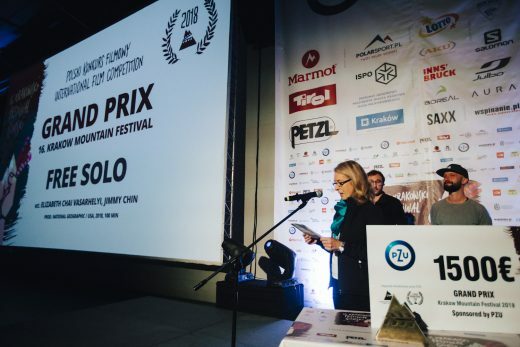 Grand Prix was awarded to Free Solo by Elizabeth Chai Vasarhely and Jimmy Chin – which probably did not surprise anyone who had a chance to see this film. The main character of this 100-minute-long documentary is not only Alex Honnold (who definitely exceeds frames of modern climbing and undoubtedly is the best solo climber in history) but also the film crew that worked on this film. The quality of photography, level of realization and above all the decision to accompany with a camera this crazy endeavour – all these aspects evoke respect. Rarely in the history of climbing is there a moment in time when everyone recognizes that the bar has been raised to a level that may never be surpassed. 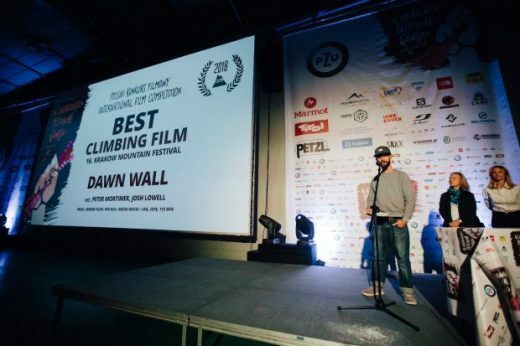 When an event such as this is captured in a film, in a way that explores the drama, the motivation, the complexity of character, and the impact on loved ones, the result is a stunning cinematic experience that, like the climb itself, raises the bar for the mountain film genre. This year, the Krakow Mountain Film Festival has received such a film. The Grand Prize goes to FREE SOLO. Could an award with such a name go to any other film than Mountain by Jennifer Peedom? For showing the beauty of mountains and fascination with mountain elements in pure artistic form. The award goes to a film whose main characters are mountains themselves. Apart from Free Solo, another screen hit of this year’s edition – Dawn Wall, directed by Peter Mortimer and Josh Lowell, shows an amazing determination with which Tommy Caldwell and Kevin Jorgeson stormed a 1000-meter-high wall of El Capitan. This is also a very emotional “close-up” portrait of Tommy Caldwell himself. DAWN WALL is not only an amazing climbing film documentating the biggest achievement in big wall climbing in a way nobody has seen climbing before. It is a journey through life! The film is an emotional rollercoaster showing the audience commitment and obsession in its purest form.  Absolutely inspiring. 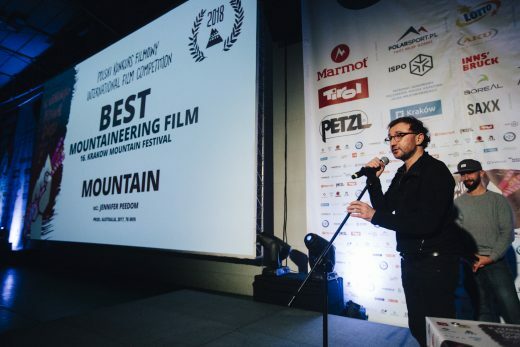 Members of the Jury decided to distinguish one more film with a special mention – From a Hammer to a Drill by Jan Simanka, which tells a story of Petr „Špek” Slanina, a legendary climber of sandstone towers from the Czech Republic. Climbing is not only about hard moves and ropeless ascents. It is also about respecting the rules and working with the spirit of tradition. 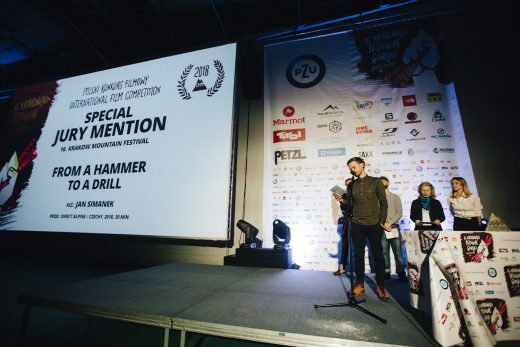 For delivering rare emotions related to opening new climbing routes, we would like to give a special award to the film „From a hammer to a drill” directed by Jan Simanek. The First Prize went to Dreamland. Documentary about Maciej Berbeka directed by Stanisław Berbeka – a son of the film’s title character. Maciej Berbeka was a famous Polish Himalayan climber who died in tragic circumstances. For a gripping and full of suspense story that was skilfully told. For a moving portrait of a family and for courage with which it was created. And also for the depth of this universal story about the mountain passion. Dreamland was also honoured with the Audience Award (funded by the 5+ Climbing School). 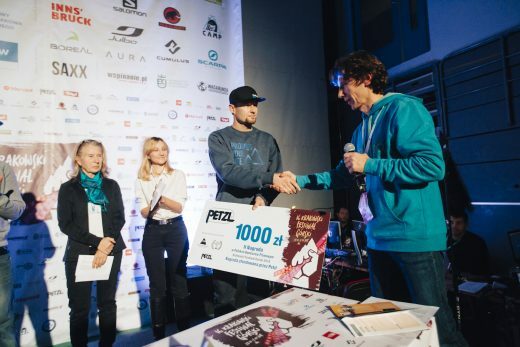 The Second Prize was awarded to Splitbergen by Darek “Anioł” Engel. 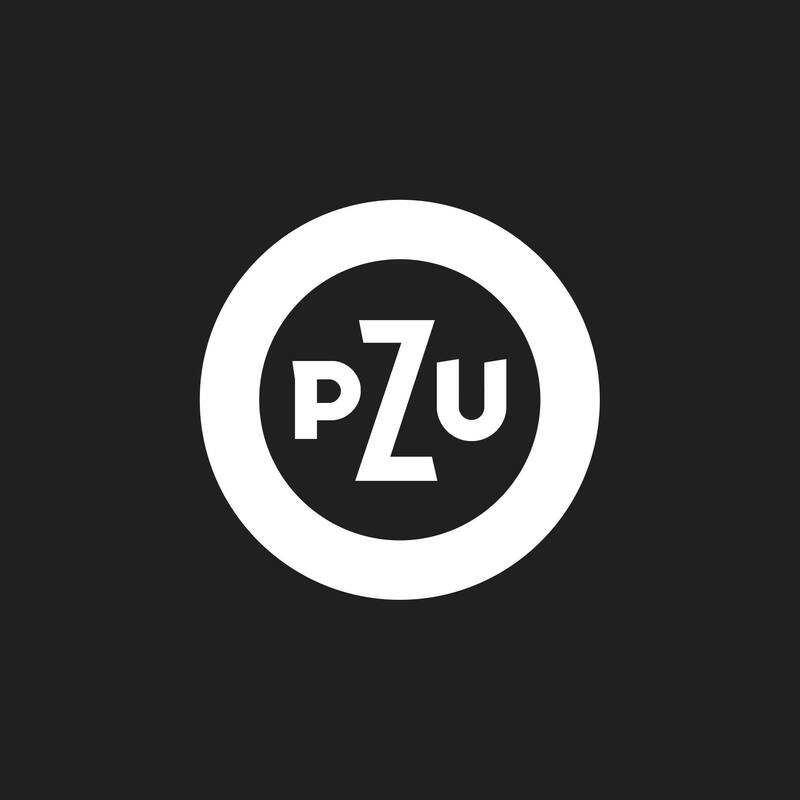 For original and poetic presentation of the story, world-class camerawork and unique music. The Jury of the International Film Competition: Bernadette McDonald, Anna Kamińska, Wojciech Kozakiewicz, Frank Kretschmann, Robert Sowa. The Jury of the Polish Film Competition: Anna Kamińska, Wojciech Kozakiewicz, Robert Sowa. 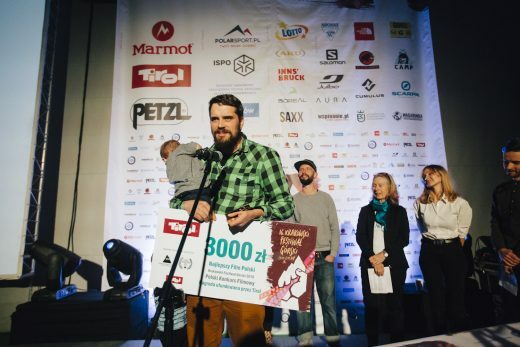 The Sunday gala and the award ceremony closed the 16th Krakow Mountain Festival. Soon there will be more summaries and reflexions.  We would like to express our appreciation for numerous participation of our audiences. We are waiting for you next year!